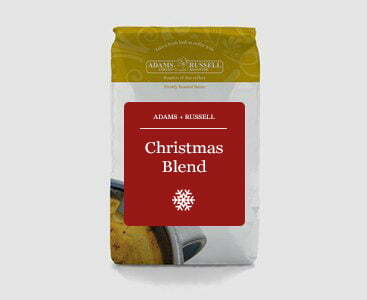 Introducing Adams + Russell’s Christmas Blend. This seasonal gem combines the high-roasted richness of Java with floral and fruity Ethiopian beans to provide the best 100% Arabica blend we can offer each Christmas. Rich and full bodied with chocolatey floral hints, we know that it will certainly be on our Christmas lists. A 50/50 blend from the tropical Island of Java and the beautiful country that is Ethiopia. In this article we will give you interesting information about these two fascinating countries, facts about this delicious coffee and some Christmas gift inspiration. Make sure to read until the end to find out about the origin of coffee. Adams and Russell Christmas Coffee Beans – Where do they come from? Almost lying directly on the equator, this island is similar to other tropical areas as the climate is spilt into two; wet and dry. The average temperatures can range from 22°C to 29°C. Java is the world’s most populous island, with a population of around 143.1 million. It homes 57% of the Indonesian population. A country rich in fascinating culture and history, with archaeological finds dating back an astonishing 3 million years. Located in the horn of Africa, it is home to 102.4 million people. Placed between the Equator and the Tropic of Cancer, this country has three different climate zones, with an average temperature of 27°C. We have a much more in-depth guide to present buying on our blog here, but we have picked out a few favourites for you below. 33 cups of coffee book – a great way to record your tasting experiences, with tools to help you understand the different flavours. An Aeropress coffee maker – Fresh coffee in 11 seconds, anytime, anywhere. Copper Finish Espresso Maker – Combining style with great coffee. Battery Milk Frother – Great for on the go when you want to make your drink a little more special. Double Walled Satin Cafetiere – Ultimate luxury at a great price, this smooth glossy satin cafetiere is sure to impress. This delicious blend is mixed after the roasting stage, hence some of the beans are darker than the others. When this brews, a pungent spice flavour is balanced with the light body of the Ethiopia beans, creating an overall smooth and moreish beverage. We can’t think of a better way to wake up on a Winter morning than with a large mug of indulgent, freshly roasted coffee. Our beans are roasted in small batches to ensure ultimate freshness. Enjoy black or add a drop of milk for a smoother taste!